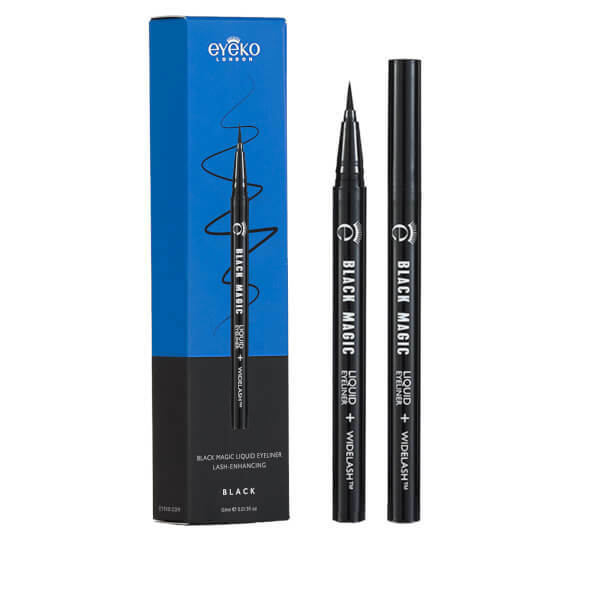 Line and intensify your eyes with Eyeko Black Magic Liquid Eyeliner, a fluid eyeliner with blackest-black finish and precision tip for professional-looking results. 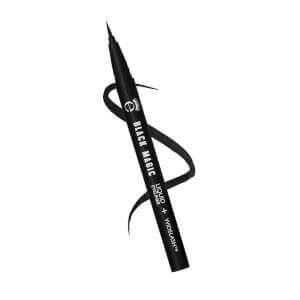 Inspired by traditional calligraphy and created in Japan, the liquid eyeliner glides effortlessly along the eye, delivering a shock of intense black in one single stroke. Its precision tip brush allows for fool proof application, so you can create thin to thick lines or cat eyes with ease. Staying put all day without fading, the formula also contains WIDELASH™, a tripeptide blend that helps to encourage lash growth for up to 3x the length and volume in 15 days.